Toyota is a Japanese automaker. The company was founded in 1937 to manufacture automobiles. At its peak, Toyota employed approximately 320,000 people worldwide. It is the world's #1 automaker as judged by sales. Toyota also manufactures the Scion line of cars designed for a younger market. Toyota became prominent in the USA in the Energy Crisis of the 1970s by producing, high-quality affordable compact cars. In the 1990s, Toyota began to branch out by adding many larger and more luxurious vehicles to its lineup, including a full-sized pickup, the Tundra of SUVs, The Sequoia, RAV 4, and Highlander. Toyota also makes a sport version of the Camry known as the Solara. The Scion brand is a group of affordable and sporty automobiles built primarily for young adults. In 1997, Toyota began production of the world's best-selling hybrid car, the Prius. The Toyota Avalon is a luxury sedan and the Matrix and Yaris are economy models. The Corolla has been part of the Toyota lineup since 1968, and the Toyota Tacoma pickup is a familiar name. Scion currently produces the Scion xA, xB, tC and xD. 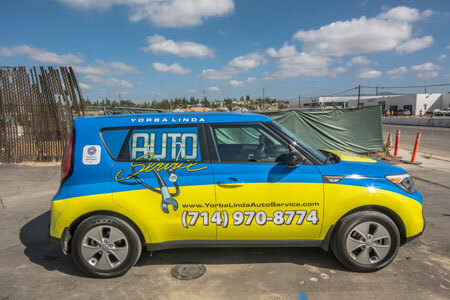 To schedule Toyota repairs or maintenance on your Toyota or Scion vehicle in Yorba Linda, request an appointment with Yorba Linda Auto today.